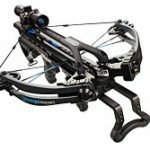 As the the official bow of the National Archery in the Schools Program, this original bow from Genesis is undoubtedly the best kids compound bow. This two-pound bow is ideal for youngsters because of the easily adjustable draw length from 15” to 30” and adjustable draw weight from 10-20 lbs. The draw cycle is also great and smooth for the kids. Carrying around won’t be a problem because this is ultra lightweight. 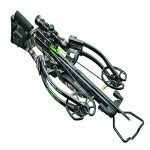 Allow me to further elucidate why this is the best compound bow for young users. 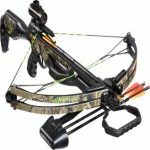 Aside from its extremely affordable price of $200, this bow is a good entry point in archery because it’s easy to shoot. Inexperienced young archers and first timers, do not need fast compound bows. They need to be safe, which is why this bow is perfect for them. 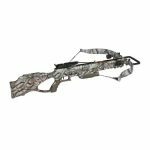 This is also reliable and durable because it’s created from 6061-T6 aluminum which will help the kids gain balance with the bow. Because of the design and set up of this bow, a beginner can go straight to shooting without a lot of complicated set up, tuning, or hassles. This turns it from being a piece of equipment to being the perfect training companion. You have to remember that this is inappropriate for hunting. You have to get another bow if you want your child to hunt. Also, it’s a little more expensive compared to other small compound bows. This is also not suitable for archers with more experience. Let’s go back to the features of this bow. The NAP flipper style arrow rest that comes with the Genesis Original is basic but effective. Just don’t hold the arrow with your finger to prevent it from falling off the rest as this might bend and finally break it. You can get a drop-down rest or a Whisker Biscuit for the Genesis Original as well, but keep in mind that these upgraded accessories might not meet the requirements for competitions within the NASP; that is, of course, if your child decides to compete. The Zebra string comes nocked with a temporary nocking point and there is an Allen wrench (3/16“) included for adjusting the draw weight of this model. Don’t forget to wax the string regularly by using the Zebra High Performance String Wax or a silicone based wax as this prevents it from getting worn and – in the worst case – breaking. Also, you need to switch it out as soon as you find small damages on it. When it comes to the arrows, the manufacturer recommends using Easton Genesis 2 #1820 30″ aluminum arrows. This is the only one that is approved for tournaments, so if you want to keep things simple, just get those. It’s worth mentioning that they don’t have changeable tips. But as the Genesis Original Compound is intended for recreational shooting only, you don’t need to switch out the tips of the arrows anyway. However, you can shoot every arrow that fits the bow (carbons or aluminum that are 30″ plus long). Don’t get fiberglass arrows and most especially wooden ones. Because this compound bow is not loud and has no hand shock, you don’t need to purchase string silencers or string stoppers. But you need a basic armguard for your child since he might get a string slap on his forearm from time to time, though this happens only when the archer is not in a proper shooting form. With 0% let-off, the Genesis Original shoots more like a recurve as you need to hold the draw weight while aiming which is in contrast to a standard compound where the cam system supports you to a certain degree while aiming. You could shoot this model even instinctively if you’d like too, as it is recommended to be finger-shot (with or without a glove). The Genesis Original fits virtually everyone. It draws very smoothly and feels to be well balanced all in all. 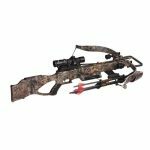 The single cam system prevents archers from having to mess around with tuning or hard recoils and makes the bow more accurate and less noisy, too. 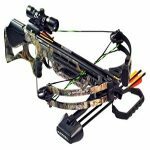 This compound bow also comes in twelve different colors—green, purple, blue, yellow, camo, black, red, pink, carbon, orange, pink camo, and white camo. Left-hand models are also available. Just remember that this bow is not for hunting. It is used for International Style Target Archery for youth in 4th to 12th grade and was never meant to be a bow for hunting. If you want your kid to hunt, then get another appropriate bow with an adjustable draw length and draw weight. © BowJudge 2018. All Rights Reserved. Bowjudge.com is a participant in the Amazon Services LLC Associates Program, an affiliate advertising program designed to provide a means for sites to earn advertising fees by advertising and linking to amazon.com.